We don’t do a sale often but when we do, it’s special. 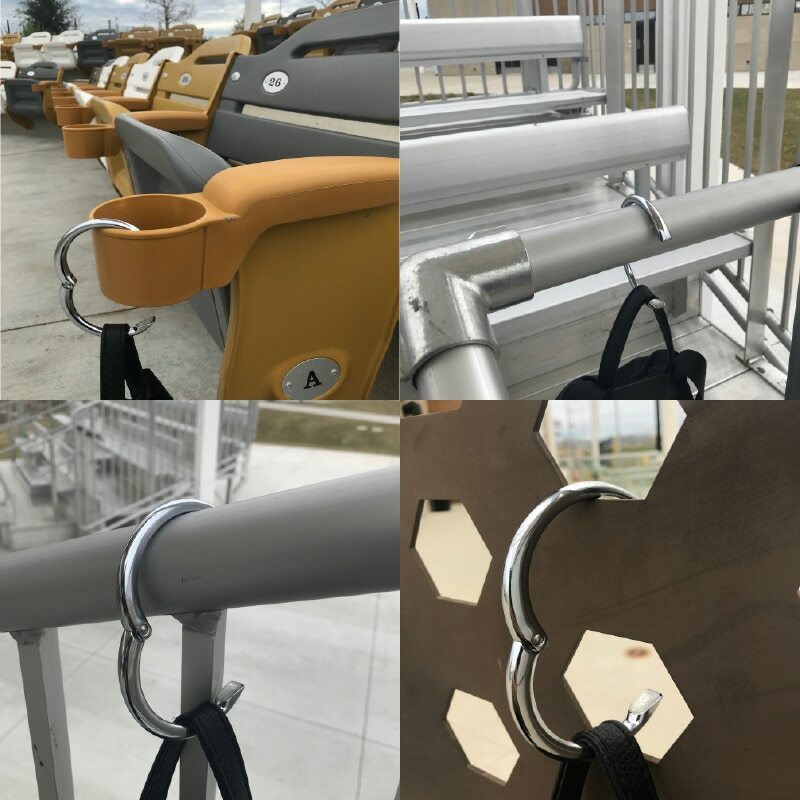 For a very limited time, Topcor is offering 10% off of all Clipa 2 Instant Handbag Hangers. A FREE gift will be included with every order too! Simply place the items in your cart and checkout at www.clipa.us and the discount will automatically be applied and the gift included. Plus, all orders going to a U.S. address ship FREE! There’s no minimum to purchase and no coupon code or promo code needed! Mother’s Day is just around the corner and Clipa makes a great gift for mom! To shop now, simply click on the image. 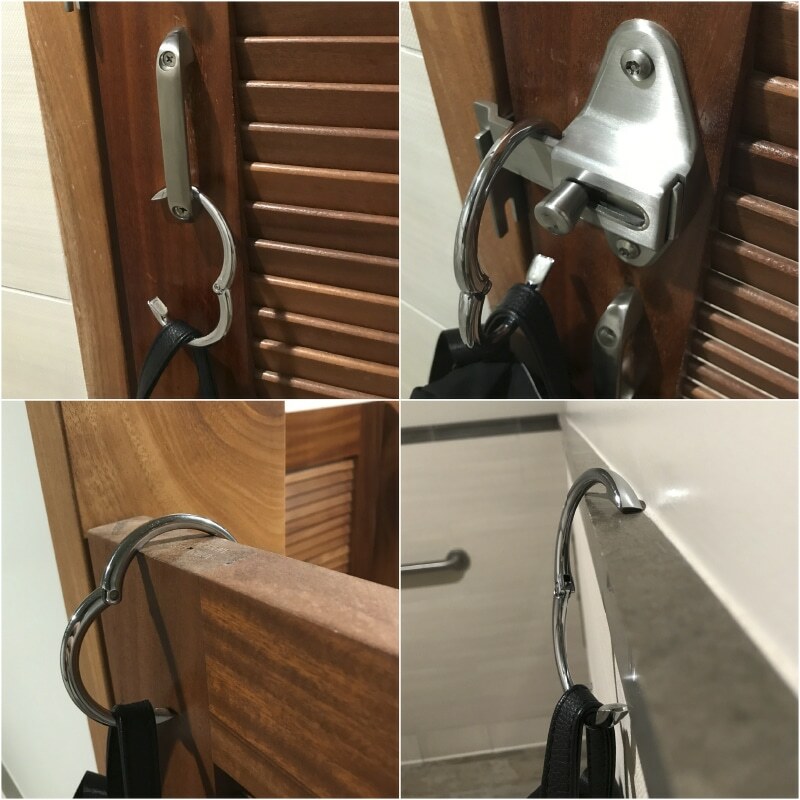 The Clipa also works in many places where most other bag holders just can’t hold up, including (clockwise from top left): a door handle in a restroom stall, the latch bar or mounting hardware, a ledge just a half an inch thick, even over a door that missing the coat hook. Plus, it works in seconds: simply open either end and hang. When you’re ready to go, simply pull the strap and the Clipa slides back onto the bag. When it comes to hanging purses, business bags, shopping bags, backpacks and totes almost anywhere in seconds, it’s mission possible with Clipa. Cold and flu season is in full swing now. To reduce the spread of viruses, musicians who perform on the road have a tip to stay healthy: avoid touching your fingers to your face. More tips: wash hands often, use hand sanitizer (try moisturizing sprays and new slim designs the size of a credit card) and wipe down surfaces such as shopping cart handles and airplane tray tables. 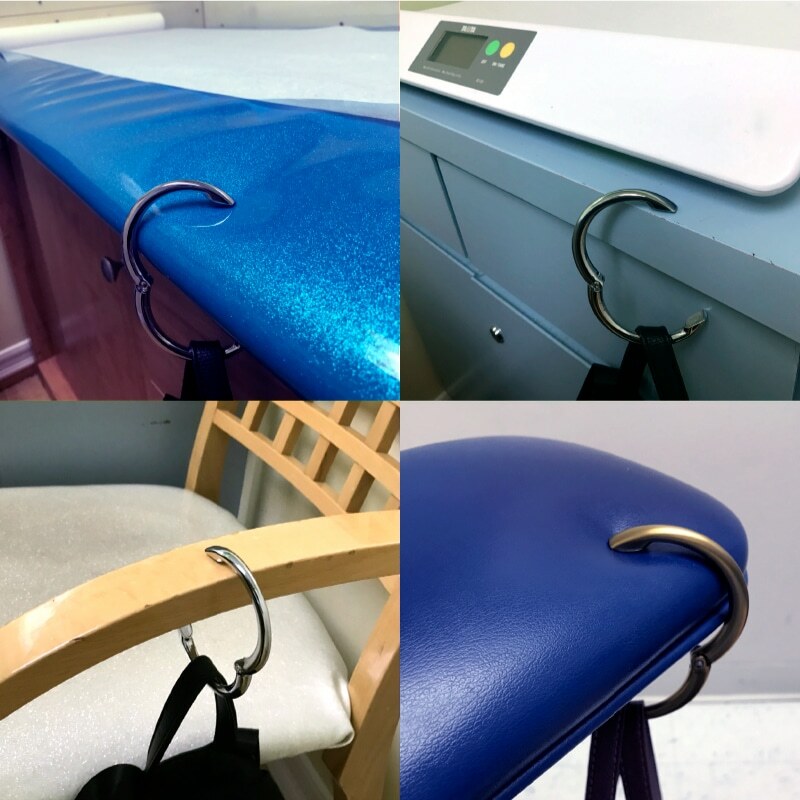 If you do get sick, reduce contact with germs and bacteria at the doctor’s office by hanging your purse with a Clipa bag hanger. Use it on: counters, chairs, shelves, cabinets, exam tables, even window ledges. And if you’re getting blood drawn, you can use it at the check-in counter while filling out paperwork as well as on the chair’s padded armrests. It’s handy in restroom stalls, rails, even sinks at doctor’s offices, pediatric clinics and hospitals. ‘Got a question? Please visit the Frequently Asked Question section on our new website. Simply click on the image or visit www.clipa.us and click on Customer Service.